A nearly naked young Vietnamese woman crushed into the engine of a Renault Espace. Vietnamese men almost suffocated in plastic bags in the back of trucks, so that equipment designed to detect their breath as they leave France fails to find them. Young men working in illegal cannabis factories in Hungary or Britain, for a bowl of rice a day, trying to pay off $20,000 (£13,300) bills to traffickers who organised their route to Europe – these were the images presented by European police in Hungary on Friday. On Tuesday, 31 alleged traffickers and 66 migrants were arrested in Hungary, France, Germany and the UK – in the fourth and biggest crackdown so far by European police forces on the illegal immigration of Vietnamese into the European Union. With Hungary, Slovakia and the Czech Republic now all part of the Schengen group of countries, which have no border controls between them, migrants can reach the English Channel before being asked to show documents. Some enter Schengen countries legally, on short-stay visas. Others cross illegally into Eastern Europe overland from Russia and Ukraine. Historically close ties between Eastern Europe and south-east Asian countries have created better conditions for the smugglers, according to Andy Baker, deputy head of the Serious Organised Crime Agency (Soca) in Britain, who visited Hungary this week. “They may have a better footprint for safe houses and people who can look after them – hence the number of facilitators who were arrested in Hungary who are of Vietnamese and Hungarian background. 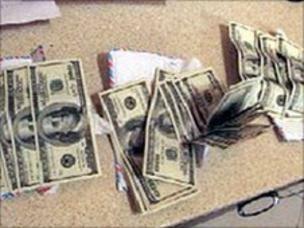 This isn’t just about Vietnamese organised crime,” Mr Baker told the BBC. Police sources say most of the Vietnamese come from Haiphong, or from an area north of Hanoi. 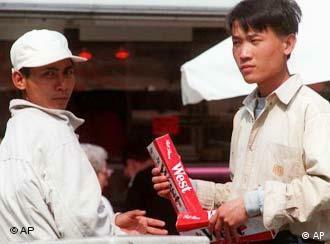 There are 30,000 Vietnamese living legally in Britain, but police estimates put the illegal numbers at another 35,000. There are 4,000-5,000 Vietnamese living in Hungary, according to Zoltan Baross of the National Bureau of Investigation (NNI). Many arrive in groups, with letters of invitation from non-existent companies. Of 900 Vietnamese who arrived recently in Hungary, 600 subsequently disappeared. Police in both countries say that illegal migration is closely tied to cannabis production. “We uncovered 40 cannabis plantations in Budapest in the last year – and in almost all of them we found Vietnamese working,” said Mr Boross. In Britain, just over 3,000 cannabis plantations were found by police in the same period, again with a strong Vietnamese connection, Mr Baker said. Using special lighting to produce three crops a year, each could generate profits of 1m euros (£820,870) a year, police estimate. Tricked by smugglers, hundreds of Vietnamese give up everything to come to Germany, only to be denied asylum. Now, many illegal immigrants are being sent back home. For the first time, the European Union agency for external border security, Frontex, is financing a group deportation of about 100 Vietnamese from Germany and Poland on Monday. The group is to be flown out on an Air Berlin flight from the Schoenefeld airport in the German capital. For many of the Vietnamese, the trip home is the end of a long and difficult journey. Lured by the promises of smugglers, many of these would-be immigrants paid huge sums of money to get to Germany, only to submit an asylum application that in most cases was rejected. Nevertheless, the number of new arrivals from Asian country is growing. And, not just in Germany, but also in neighboring Poland and the Czech Republic. In the Berlin neighborhood of Marzahn, the Vietnamese community is divided into two groups. There are the successful businessmen, standing behind the counters of their florist shops and fast food stands. Most of these men were formerly guest workers, who have fought for years for their modest life in Germany. When a police car cruises down their streets, they appear pleased: Here come their customers. Along the edge of the parking lot, stand another group of Vietnamese men – and here it is a different story. They are selling black market cigarettes and the uniforms and flashing lights set them into a panic, as they make their perilous getaways across busy streets and subway tracks. These illegal street vendors belong to a new generation of immigrants. Their chances for a future in Germany are slim, says Tamara Henschel, head of Reistrommel, an organization that seeks to help Vietnamese immigrants in Marzahn. With little money and no work permit, the new immigrants often turn to illegal trade as a last resort. The German government’s human rights commissioner is also concerned. But of the refugees that have come to Germany in the last few years, very few — at least according to German public agencies and courts — have reason to fear political reprisals back in Vietnam. 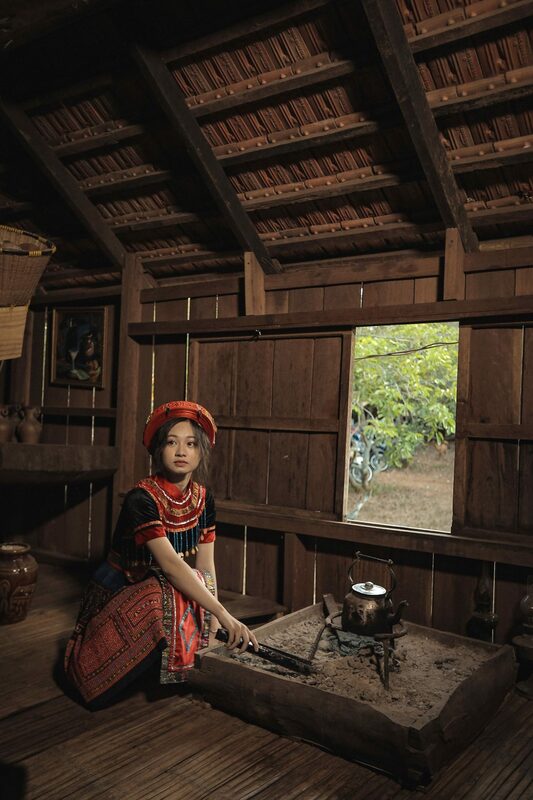 About 85,000 Vietnamese live legally in Germany; the number of undocumented Vietnamese immigrants is unknown. Unlike this most recent wave of arrivals, the Vietnamese who arrived in the 1970s and 1980s succeeded in establishing a life for themselves. Those in West Germany were “Boat People” fleeing from the Communist regime; those in East Germany came as guest workers. Their children are considered particularly ambitious and are accepted into Germany’s college-prep high schools at rates higher than any other immigrant group, even higher than their German peers. 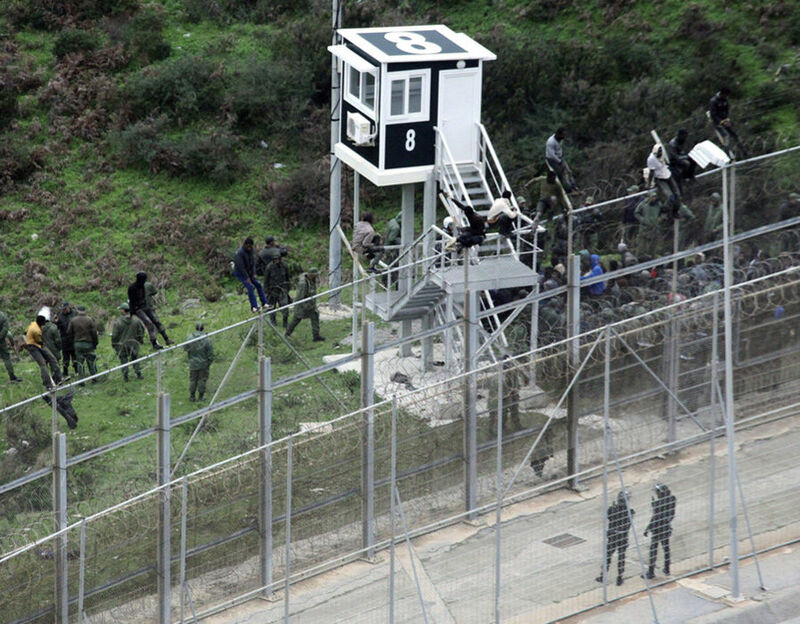 View all crime areasThe Spanish Policía Nacional, with Europol’s active support, arrested 37 members of an international gang charging 730 Vietnamese migrants EUR 18 000 each to be smuggled to Spain. Facilitated illegal immigration is a significant threat to the EU and one of the key priorities of European law enforcement authorities in the fight against organised crime. In recent months, the facilitation of Vietnamese irregular migrants has increased and the total number of investigations into this, with Europol’s involvement, has doubled this year reaching more than 20 cases. This recent increase is a remarkable change since the number of Vietnamese irregular migrants detected in the EU had decreased considerably following a number of large-scale investigations. A large operation in November 2011 was particularly instrumental in this and resulted in the dismantling of a key Vietnamese illegal immigration network active mainly in France and Germany. Vietnamese irregular migrants use the whole range of available facilitation services. They are typically helped to enter the European Union illegally along the eastern land borders of the EU. Once on EU territory, they are facilitated onwards to their final destinations such as the UK, France, Belgium and Germany. Typical prices for intra-EU facilitation range from EUR 4000 from Poland to the UK, to EUR 6000 from Belgium to the UK. Europol’s Serious and Organised Crime Threat Assessment 2013 (SOCTA) warns of a further increase in facilitated illegal immigration as irregular migrants are increasingly supported and guided by organised crime groups (OCGs). The OCGs involved in this criminal activity adapt quickly and exploit various vulnerabilities to enable irregular migrants to illegally enter, reside and work in the EU. Certain OCGs specialise in providing fraudulent documents to facilitate illegal entry and Vietnamese irregular migrants often enter on fraudulently obtained visas of all kinds. OCGs obtain these visas by providing false invitation letters and other false supporting documents, or using corruption. A full package, including invitation and visa, can cost up to EUR 15 000. Vietnamese irregular migrants have been found working in nail bars, as gardeners in cannabis plantations and as couriers for methamphetamine. Europol works closely with Member State authorities to monitor and follow up on this re-emerging threat and has recently warned them about this latest crime trend. A SECRET route being used by Vietnamese migrants to enter Europe has been discovered by border guards. The route passes through Lithuania – far to the north of the well-trodden migrant paths across the Mediterranean and through the Balkans. 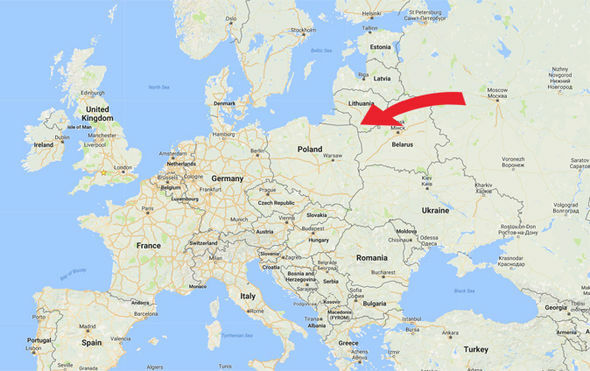 Border guards said criminal organisations are smuggling people from Belarus, which is not in the European Union, into Lithuania, which is a member. Renatas Pozela of the Lithuanian State Border Guard Service revealed: “The transit route through Lithuania has been used for many years. Hundreds of those entering Europe via this route are Vietnamese citizens – many of whom had been working in Russia. Due to an economic downturn in the country, many of these workers are now seeking employment in Europe. They travel from Russia to Belarus before Chechen smugglers help them into the European Union. Mr Poleza said Lithuanian authorities were unable to do anything to stop the migration due to a lack of partnership with Russia. Issues are also rife within migrant centres where arrivals of different cultural backgrounds come into conflict. 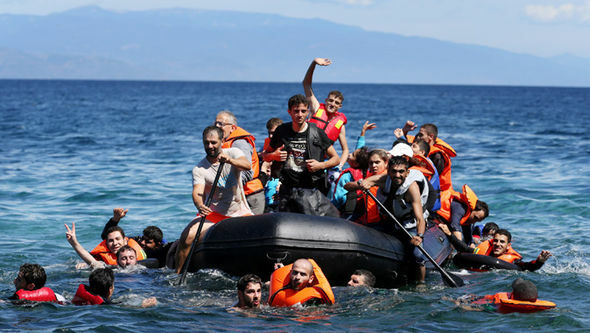 The majority of migrants choose to enter Europe by alternate routes. During 2015, nearly 1.5 million illegal border crossings were made by the Balkans and Mediterranean routes. The Eastern Borders Route, meanwhile, registered just 1,920 illegal border crossings.